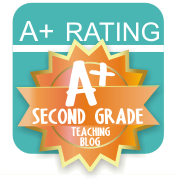 Smiling in Second Grade: Fabulous Feedback! 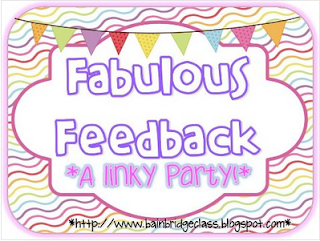 Who doesn't love positive feedback? It's a wonderful thing! 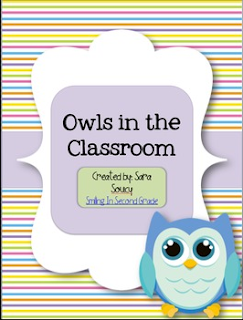 Did you know you can leave feedback on your purchases from Teachers Pay Teachers? You can! You even receive credits for the comments you leave to use towards future purchases. It's a win-win situation for everyone! Sometimes buyers leave comments that say, "great" or "thanks." While we all appreciate a good thank you, these just aren't super special. However, there are some comments that are out-of-this-world! These are buyers who go above and beyond and really put some thought into their comment. As someone, who works super hard on all my products, it feels great to hear how much someone appreciates it! It makes my heart smile! 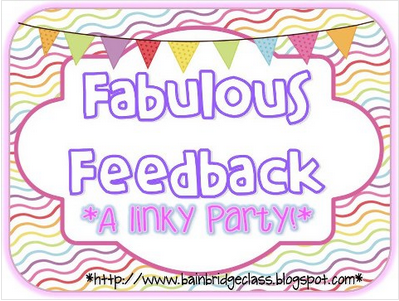 I thought I would link up with Christina Bainbridge for her Fabulous Feedback Linky Party. I am going to showcase the best feedback that has been left in my store. Here are my 3 most favorite comments that I have received. Seriously, these guys are wonderful! 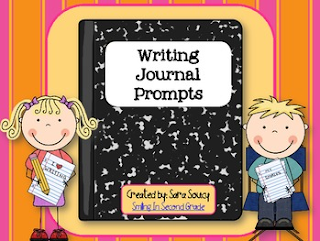 Do you see your TpT name on any of those comments?! Today is your lucky day! Leave me your email address in the comments below and you get to choose any item from my store for free! 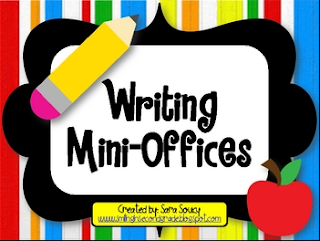 Thank you for sharing your thoughts, you are awesome! If your name isn't in those comments, no need to fret! 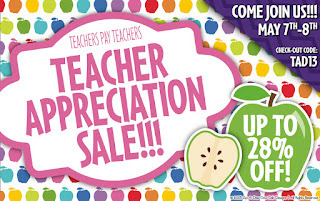 My entire TpT store will be 28% off tomorrow and Wednesday in honor of Teacher Appreciation Day. That's right, I appreciate YOU!